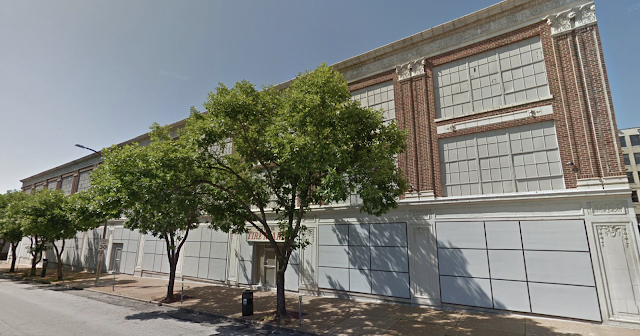 Lofts In The 'Lou: Coming Soon! Welcome to the "Lofts in the 'Lou", an interactive St Louis Lofts site unleashed on the City of St. Louis to make public the beauty, excitement, and news surrounding the urban renaissance in St. Louis. Good news for the Downtown West neighborhood as one of the long time holdouts to development is the subject of new development plans. Tire Mart doesn't have the height to attract the first round developers like the many high rises, but it does appear to have 'good bones', and a nice classic look. The key, in this Realtor opinion, is to build it as a mixed use structure, and to make sure that a successful, sustainable business or civic organization operates on the first floor. Great examples are all around, but some bad ones are too. The build it and they will come philosophy generated a lot of vacant or underutilized space downtown.